Trevor Davis Secures Spot on "The Voice"
Trevor Davis performing on "The Voice." 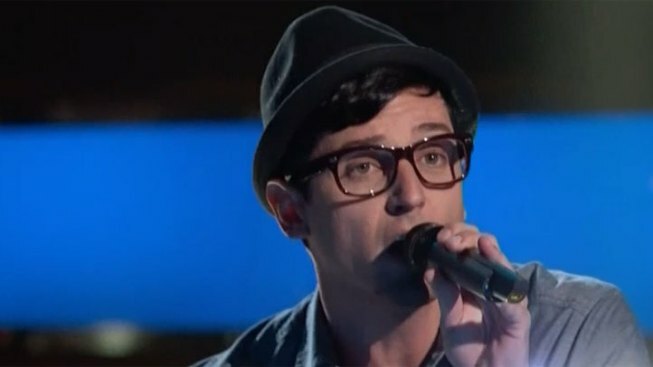 San Diego singer/songwriter Trevor Davis has secured a spot on NBC’s The Voice. "When Blake turned around his chair it was just like 100 puppies rushing towards my face, wanting to lick my ears," Davis said. 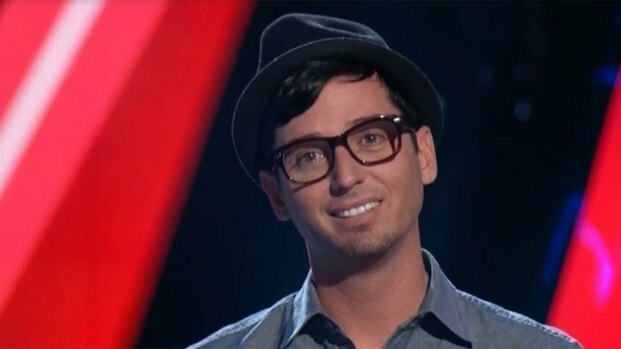 Shelton added Davis to his team during the show’s blind auditions episode. "I just kept trying to tell myself to just not to get distracted and to treat it just like one of the shows I've done a million times," he explains on this clip from The Voice. "And it was nothing like the shows I've done a million times." He posted his excitement via Vine (see below) and Tweeted "Thank you for tuning in tonight with me! You can hear my whole #BlindAudition song Keep Your Head Up on iTunes right now! Spread the word!" Davis, 32, who began performing seven years ago, played at the now-shuttered Anthology several times in 2012. Trevor Davis, who began performing seven years ago, will be on "Team Blake" this season. NBC 7's Jason Austell and Marianne Kushi report. NBC 7’s music blog, SoundDiego, covered a recent performance in March 2012. He gathered family and friends for a premiere party a week ago and posted this picture to his Facebook page. According to his website, Davis was raised by a single mom with help from his grandmother, who used to take him with her to church. “This is where he would soak in the music that would come to influence him so much,” the singer’s website explains. Get more information about Trevor Davis from his site or from NBC’s The Voice.